The term Polymorphism comes from the Greek language, and means “many forms”. 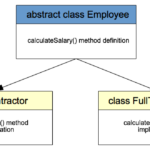 Polymorphism in Java allows subclasses of a class to define their own unique behaviors and yet share some of the same functionality of the parent class. I’m going to discuss polymorphism from the point of view of inheritance where multiple methods, all with the same name, have slightly different functionality. This technique is also called method overriding. Polymorphism is one of the four major concepts behind object-oriented programming (OOP). OOP questions are very common on job interviews, so you may expect questions about polymorphism on your next Java job interview. 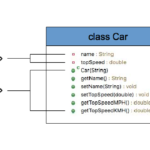 In this example we will create 3 classes to demonstrate polymorphism and one class to test the concept. Our superclass is called Animal. The successors of the animal class are Dog and Cat classes. Those are animals too, right? 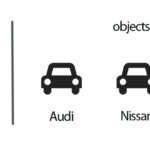 That’s what polymorphism is about – you have many forms of the same object with slightly different behaviour. To demonstrate this we will will use a method called makeSound() and override the output of this method in the successor classes. Obviously we have to do the same to our Cat class to make the cat meow. Finally lets test our creation. By calling the makeSound() method of this object will actually call the overridden makeSound() method in the Cat class. Java Basics java, java job interview questions, oop, polymorphism. permalink.